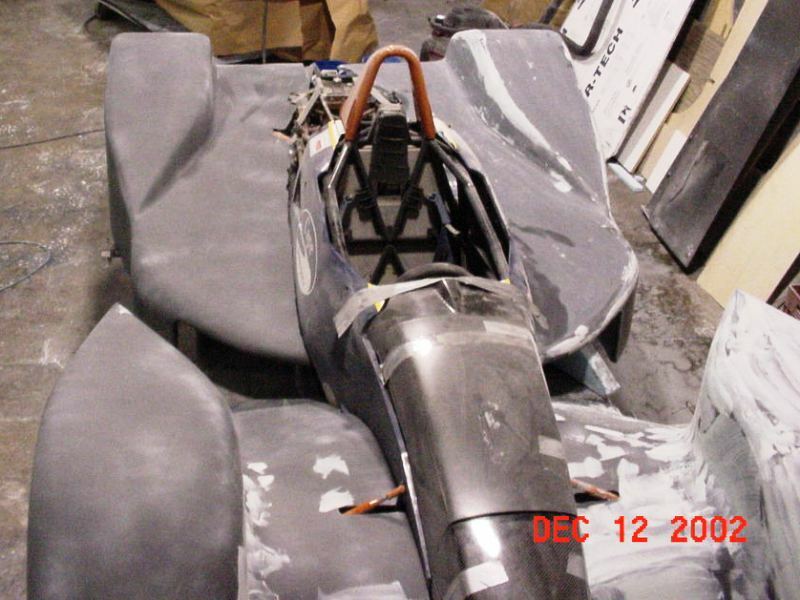 Mike Sirianni's SSR-1 car began life with the purchase of Bob Gelles' former project which is pictured here in Decmber 2002. 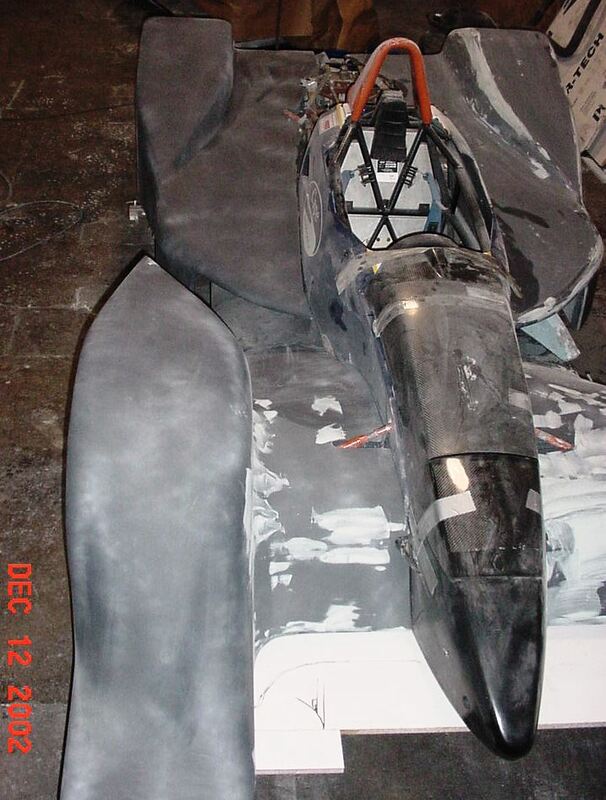 Bob had said, "Attached are pictures of my car bucks in progress nearing completion for the autoclave Carbon Fiber final components. 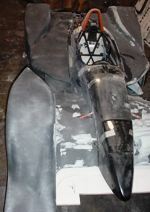 The engine cover is missing in the photo but it will be all below the base of the roll hoop and very sleek. 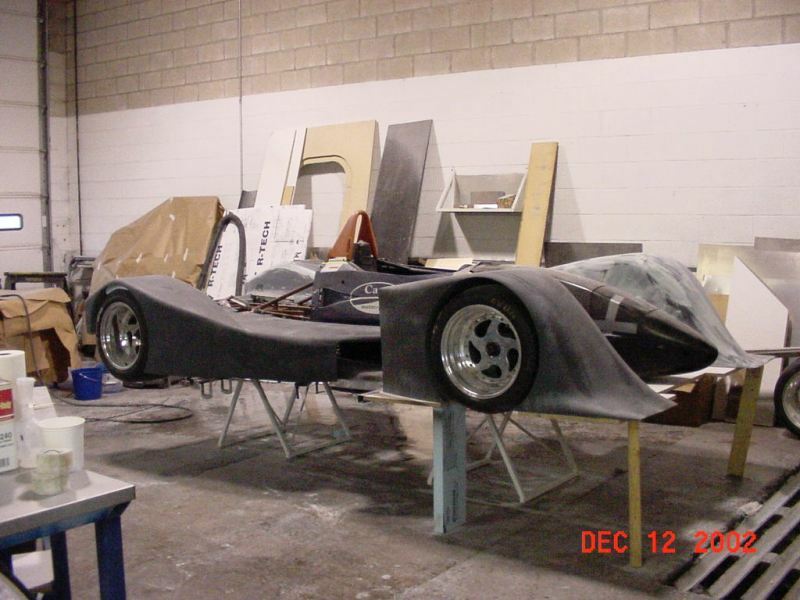 The car started life as a 2002 Van Diemen 2.0 liter pro car. I will have (2) similar cars, 1-for DSR and 1-for CSR. Initially, DSR will start competition as a Graves Yamaha R-1 Stage 3 engine and the CSR will have a USFF2000 Zetec engine. 15" diameter directional custom Kokiak wheels with large vented rotors and 4-piston calipers on all four corners." Bob planned to use Rotax two stroke motors in the cars after initial debugging. He did a lot of testing of the two stroke approach in the 2001 season with in his Kokopelli chassis, and reported that the last outing went very well. Bob says for those who closely examine the photos, that "YES it will have a floor pan." Mike Devins of HRP reported that, "In the end not much carried over. 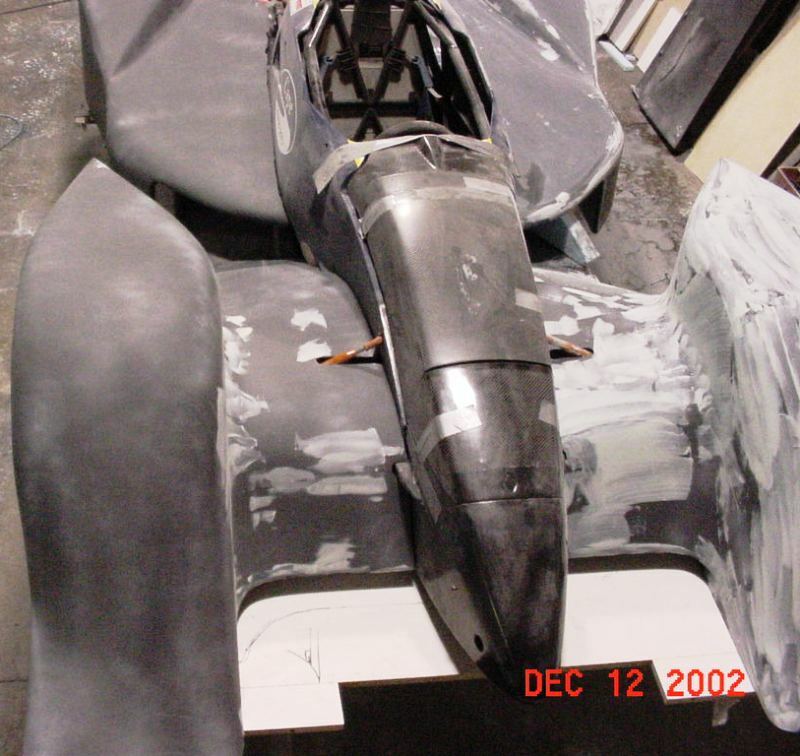 The rear frame was scraped and built from scratch. New front fenders. The tunnels we scrapped, as they were not legal. 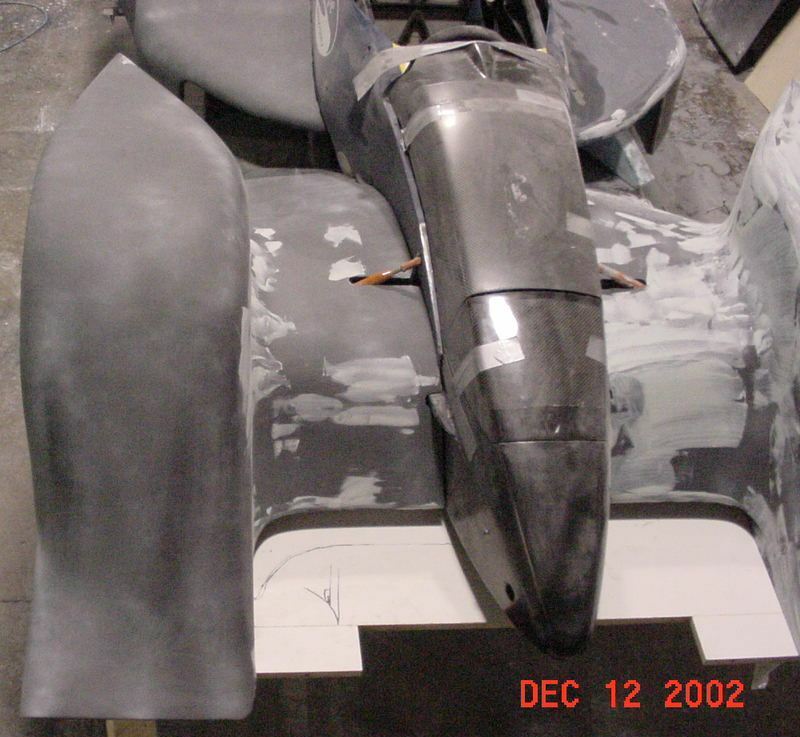 We are using the rear fenders with some modifications."